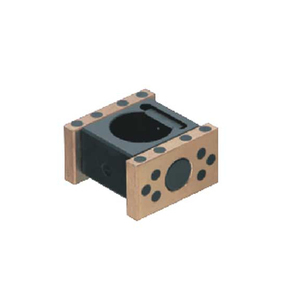 DME mold components guide pillar guide bush material: suj2 cr15etc. 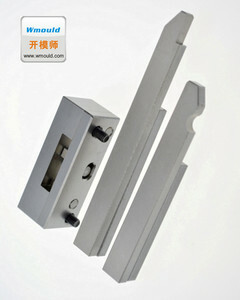 standard: DME we offer dme mold components, customize is available. 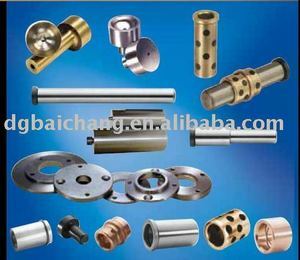 Contact information: Dongguan Baichang Precision Mould Fittings Co,. 3. 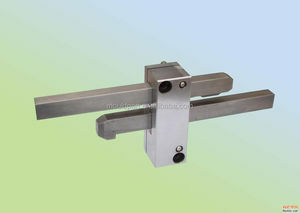 RC Slider Retainer Material: 1.8159 Hardness: 45+/-3HRC It is very simple and practical, and can be fixed in a very small space. Good lubrication is needed in usage so that product life can be much longer and the product can become more abrasion resistant. Our ultimate goals are to satisfy our customers through high standard quality products, and to motivate employees by the ultimate goal. 1&gt; IQC: Incoming material control to make sure all the raw materials are qualified. 2.3. 2.2&gt; Use qualified operators and correct parameters to make sure good quality. 2.3. 7.6&gt; We will then start to make the formal mass production of your order. Multiple air poppet valves can be used for large or heavy slides as needed. 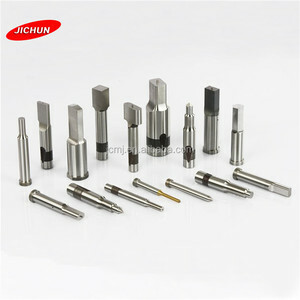 Our products have achieved a high work precision with the ultra precision tolerance within 0.002mm. We offer stable quality, preferential price, on-time delivery and refined services. Our system, comprised of a highly skilled team, state of the art equipment allows us to quickly convert your 3D parts into high quality injection mold tooling. Whether you need a handful of parts, or larger quantities our systems are equipped to to provide you with the right custom part manufacturing solutions. 3. With about 20 years experience in mold making and molded parts, Wishmoulds can provide you the perfect solutions quickly. 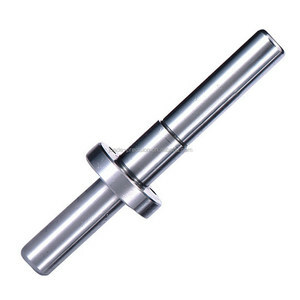 High Quality Ejector Sleeve SKD61 for Ejector Pins Plastic Mold Component Ejector pins are used in plastic injection mold and die aplications as Knock -out / ejector, perforator, punch, core blank, sprue puller or return type pins etc. So when we heard your call for more metric-standard products, we didn't hesitate to deliver for you &ndash; by building up the largest inventory of metric ejector pins, sleeves and blades. Related Products Related Product for your Reference After-Sales Service Send your Inquiry Details in the Below, Click " Send " Now!! 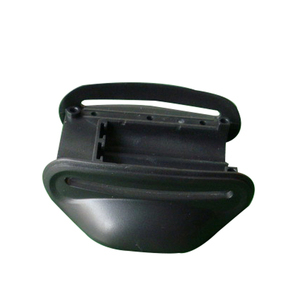 Dongguan Jushi Plastic Mold Co., Ltd.
Dongguan One Pin Mold Technology Co., Ltd.
Newzeal Mould & Plastic Technology (Shanghai) Co., Ltd.
Alibaba.com offers 1,619 dme mold components products. About 84% of these are moulds, 1% are other general mechanical components, and 1% are other fasteners. A wide variety of dme mold components options are available to you, such as free samples. There are 1,542 dme mold components suppliers, mainly located in Asia. The top supplying countries are China (Mainland), Taiwan, and Hong Kong, which supply 99%, 1%, and 1% of dme mold components respectively. Dme mold components products are most popular in Western Europe, North America, and Southeast Asia. You can ensure product safety by selecting from certified suppliers, including 503 with ISO9001, 116 with Other, and 91 with ISO/TS16949 certification.